They are of our estate’s garden which up to this year was a lawn with some trees. This spring we decided to use the skills of a newly qualified landscape architect who suggested planting a native wildflower garden. This was the result in summer. Isn’t it just beautiful and most unusual at the entrance to a residential estate. I thought it was particularly wonderful on a breezy day when the flowers all nodded their heads at us and the air was full of hovering bees and butterflies. Luke Byrne was the designer and planter – beautiful job. A picture paints a thousand words… What a lovely scene. And it is so natural! Well done Luke! Gorgeous pics Barbara and especialy beautiful on a day like today!! An award awaits you at Inkpots n' Quills. Stop by and pick it up. Well done Luke it looks terrific! Big future ahead of you! 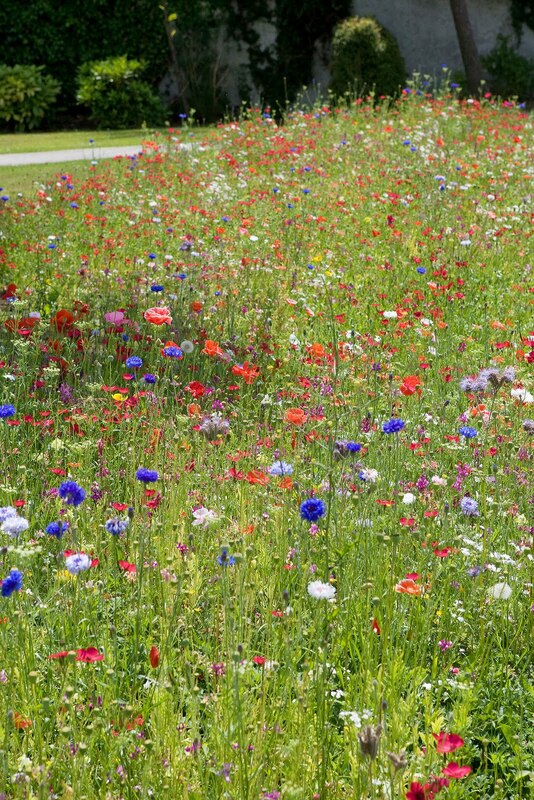 I am very jealous of your wild flower garden. Especially as I tried to do a meadow this year and got a lot of beautiful grasses and a lot of ugly weeds. I love wildflowers. I had too places that needed something, one in the sun one in the shade. 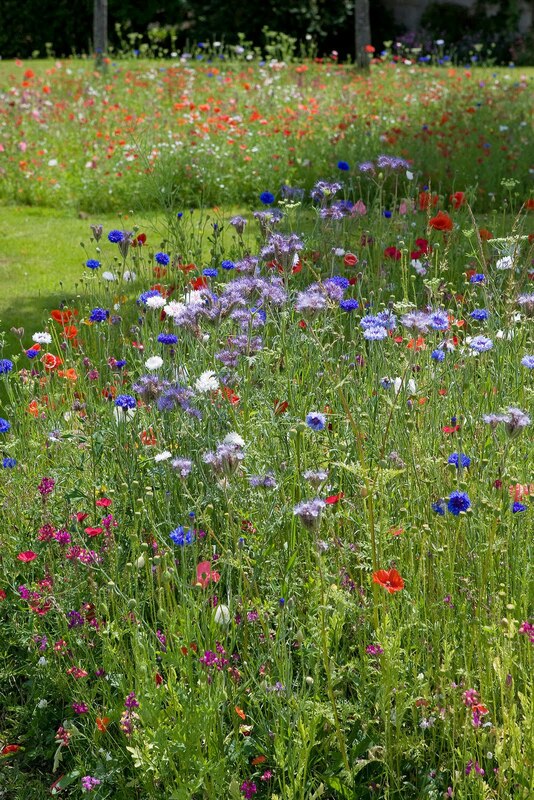 So I found a sack of wildflower seeds and two years later i have a beautiful replenishing gardens there. I love how he planted it in a wave among the grass. So beautiful. Thank you all for the nice comments. I just thought I would share our neighbourhood garden with you all!! I just wish my own garden looked as good! But our wildflowers were so beautiful through the summer. The residents will be taking a vote shortly on whether we do the same thing for next year. 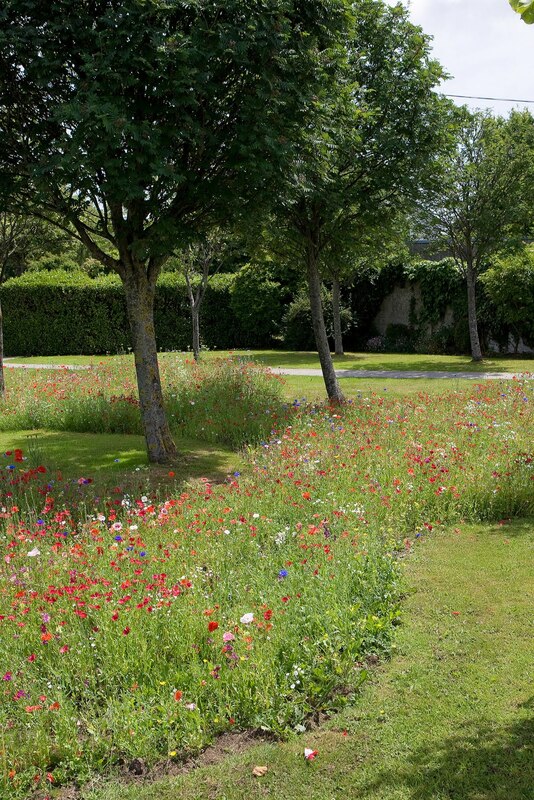 Think some of our older neighbours prefer a more traditional and conservative planting scheme!